New Delhi, 25 January 2014: Today is a big day for hockey and a busy day for hockey lovers as the nation is set to witness the start of the second edition of Hero Hockey India League in Mohali. The League will start with Jaypee Warriors against the Delhi Wave Riders. It will be interesting to see whether Jaypee warriors can keep their cool in front of their home crowd and if Delhi Waveriders will be able to beat the host team on their home turf. This year with the addition of the 6th team – Kalinga Lancers it will be interesting to see which team emerges the winner of the second edition of HHIL. With 72 Olympians and participants of 11 countries participating, the League is surely a tough game to win. Keeping last year’s performance in mind many hockey lovers will be keeping a close tab on Delhi Waveriders who were the runner-up of the 1st edition of Hero Hockey India League. Last year the Delhi team played 4 matches against Jaypee and won all of them. It will be interesting to see whether this year they will be able to keep their winning streak against them. For Jaypee Warriors it will be payback time and if they win against Delhi tomorrow it will not only boost their confidence but they will start the League on a high. Last year Delhi Waveriders were the favourites for the League when they qualified for the finals. In the entire League the team played 14 matches and win 10. This year under the guidance of the new coach Cedric D’Souza the team is confident on their performance and is looking forward to their first match against Jaypee Warriors. While last year Jaypee Warriors were not able to live up to the expectations of their fans and could only win 4 out of the 10 matches, this year they are looking forward to playing good hockey. With last year’s highest goal scorer Sandeep Singh playing for Jaypee Warriors this year, all eyes will be on him and his goal scoring skills. 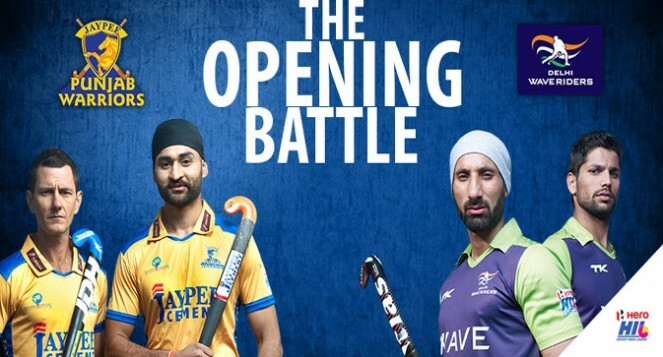 With both teams playing with their full strength it is yet to be seen which team keeps its nerves and emerges the winner of the first match on the opening day of the second edition of Hero Hockey India League. While in the sports world everyone knows anyone can win a match on any given day, Jaypee Warriors will play to win its pride and Delhi Waveriders will play for its pride. “We aim to make a winning start. The team has practiced hard and is ready to take on any team. Sardar is a world class player but we have our strategy in place. We have great goal keeper and wonderful forwards who are ready to offer some of the best hockey to Mohali spectators,” S V Sunil said. Each team consists of 14 Indian and 10 foreign players and each player will be vying for his chance to be the ‘Gaurav’ for their team this year. The League starts today at Mohali with a perfect opening ceremony at 7 pm wherein Nargis Fakri will be seen performing alongwith many more exciting performances by international artists. The match will begin at 8pm. 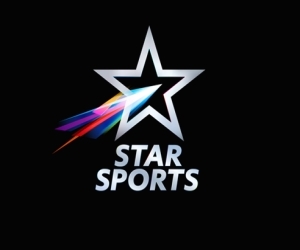 With Star Sports as the official broadcasters for the League, Hockey fans can catch the excitement LIVE on the channel.